Makes pouring into bottles easy and foolproof! Love buying gallons of product, but hate pouring into those narrow bottles? 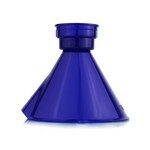 The Perfect Pour EZ Fill Funnel is the perfect accessory to transfer product between bottles. Mankind has filled small containers with funnels for centuries. Using funnels has saved thousands of gallons of spilled milk, water, and other precious fluids like Fabric Guard and Diablo Gel. Still, the common funnel is imperfect. Typical funnels are loose-fitting, and can fall out when product is poured into them. Heavy pouring through a funnel into an empty container can tip the entire setup over. Overfilling with a typical funnel guarantees spills and product waste. The EZ Fill Funnel revolutionizes funnel technology with three advanced features: threaded stem, direct-injection funnel tip, and overflow pour spout. Use the EZ Fill Funnel to easily refill 16 and 32 oz. bottles with premium Chemical Guys products bought in gallon sizes. Buying in gallons and reusing bottles saves time, money, and reduces waste over time. Be good to your wallet and the environment with the Perfect Pour EZ Fill Funnel! Mankind has used funnels for centuries. Whether in the kitchen, garage, or laboratory, funnels make pouring easy and save thousands of gallons from spills every year. The EZ Fill Funnel uses advanced funnel technology to make spills and waste a thing of the past. 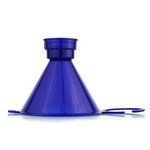 The Perfect Pour Funnel features a wide conical mouth with a threaded stem. The threaded stem screws directly onto Chemical Guys 4, 16, and 32 oz. bottles. The injection spout is tailored to fit inside the threaded stem. This guarantees a secure fit and spill-less pouring of product. The short injection neck does not stick too far into the bottle, leaving more room to fill with product. Accidently overfill a bottle? No problem! The wide mouth of the funnel features a pour spout to return overflow to the larger container. Spills and waste are no longer an option. Pour gallons of product into small bottles with ease and without fear of spills. Pour concentrated product and dilute with water to make convenient ready-to-use 4,16, and 32 oz. size bottles. When you 're done, simply clip the funnel to your gallon jug of choice with the included funnel hook. The Chemical Guys Perfect Pour EZ Fill Funnel is the funnel for the future! Old-school funnels are imperfect. Basic funnels are loose-fitting and fall out with heavy pouring. Old-fashioned funnels also stick deep into the container, taking up valuable space that could be filled with product. The EZ Fill Funnel screws directly onto Chemical Guys bottles for a leak-proof fit and spill-proof pouring. The direct pour stem is the perfect length to fill bottles perfectly without taking up valuable space inside the bottle. Without having to “refill” the space taken up by the stem eliminates the “dance” of pouring product as you pull out the funnel—a prime source of spills and accidents. 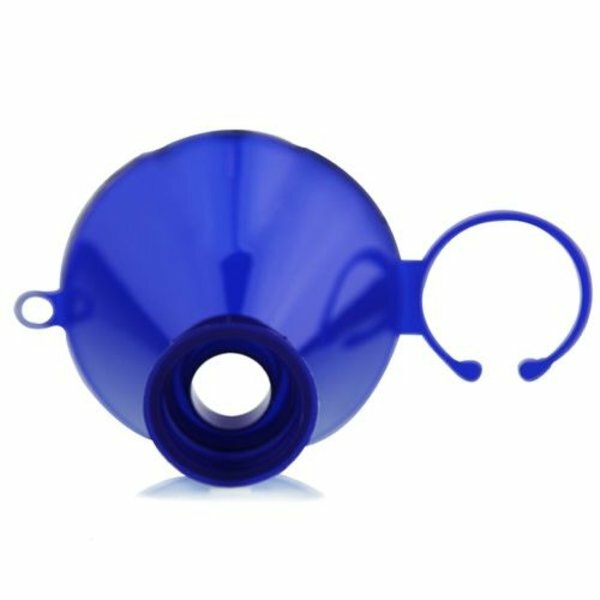 The Perfect Pour EZ Fill Funnel saves time, product, and money! Old funnel technology was only designed with filling in mind. But what happens if you accidentally overfill? Product overflows from the bottle into the funnel, and spills everywhere as soon as the funnel is removed or the bottle is tipped. The Perfect Pour EZ Fill Funnel features a convenient pour spout on the side of the cone, allowing any excess product to be poured directly into another container. With the secure screw-on attachment, no product leaks from around the funnel as the bottle is tipped. 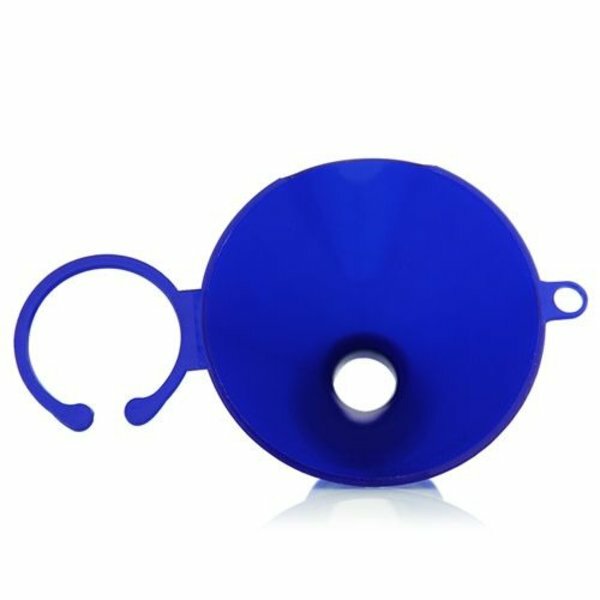 The Perfect Pour Funnel is the most advanced funnel design for pouring product and avoiding spills. Chemical Guys is one of the few detailing suppliers to sell products in bulk. Most manufacturers sell their products in 500ml, or 16 oz. bottles, forcing you to buy more product and waste many small plastic bottles over time. Chemical Guys sells most products in gallon sizes at discounted rates to give detailers more economical options. Buying in bulk and refilling the same spray bottles saves money, and keeps tons of plastic out of landfills every year. Recycle or reuse leftover gallon jugs to dilute potent products into ready-to-use formulas for waterless washes, wheel cleaning, glass cleaning, or quick detailing. Use the EZ Fill Funnel to pour gallon jugs into 16 and 32 oz. bottles without spills or accidents. Easily pour concentrated products and dilute with water with the Perfect Pour EZ Fill Funnel.